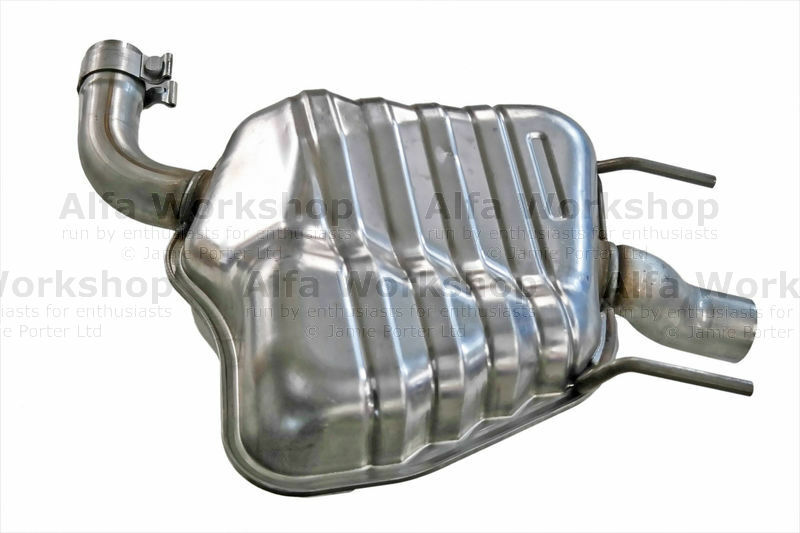 Description: Exhaust Middle 147 Middle exhaust section. 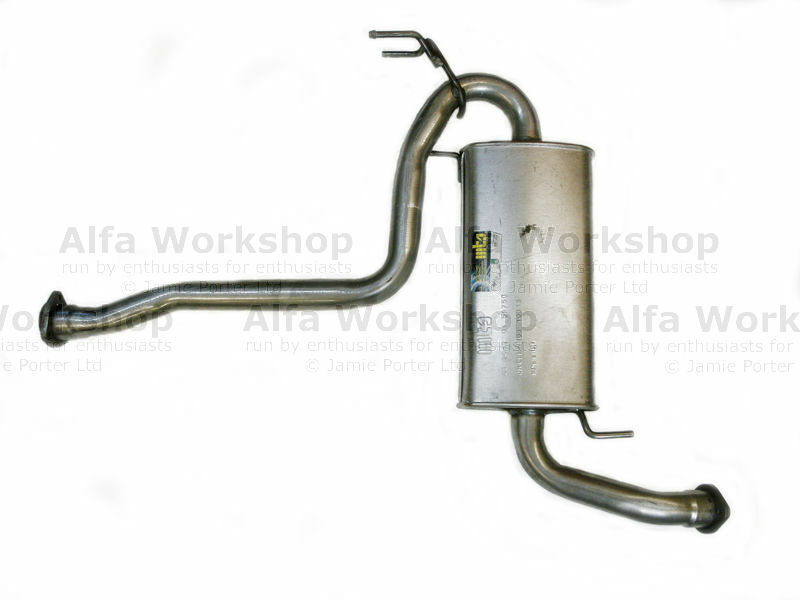 Description: Exhaust 147 Rear exhaust box. 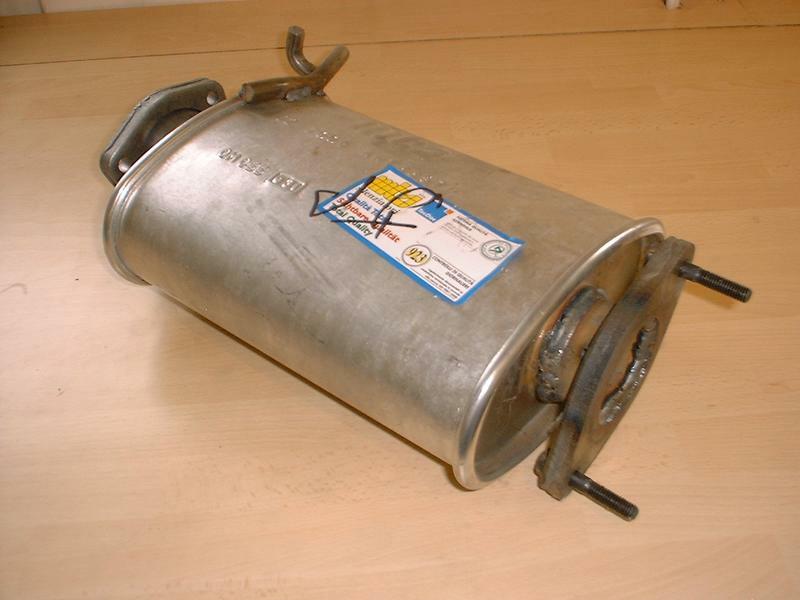 Description: Exhaust Standard rear exhaust box (all diesel models) 57mm OD. 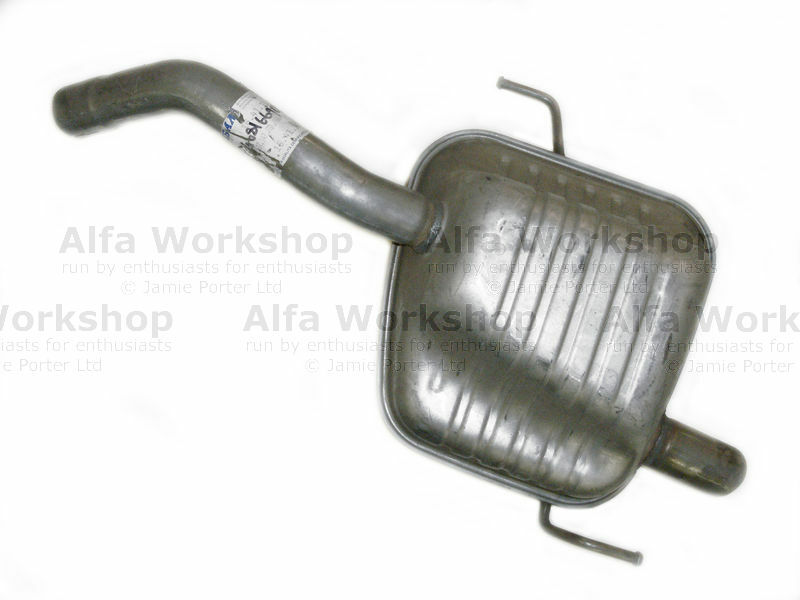 Description: Exhaust Left side rear exhaust box. 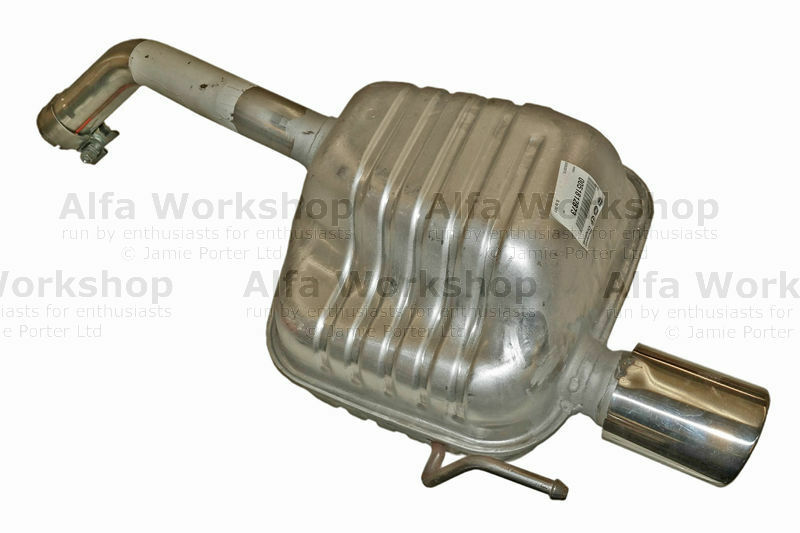 Description: Exhaust Right side rear exhaust box. 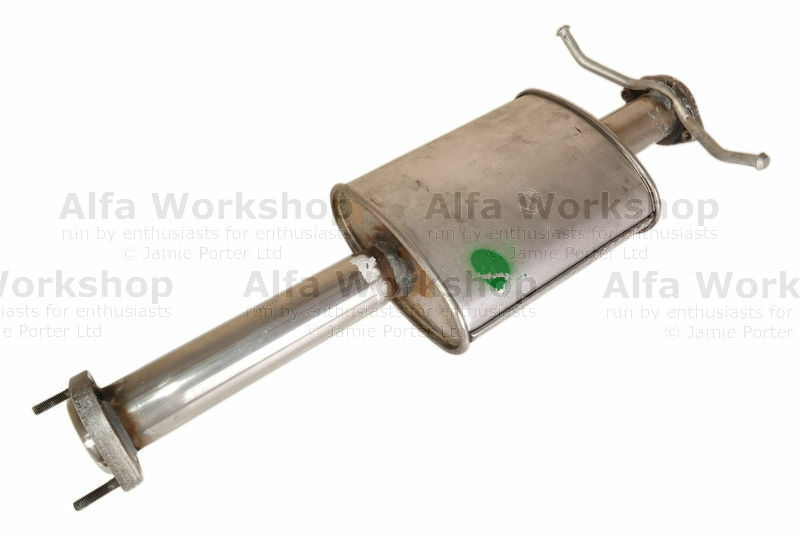 Description: Exhaust Rear exhaust box (WITHOUT chrome tail pipe). 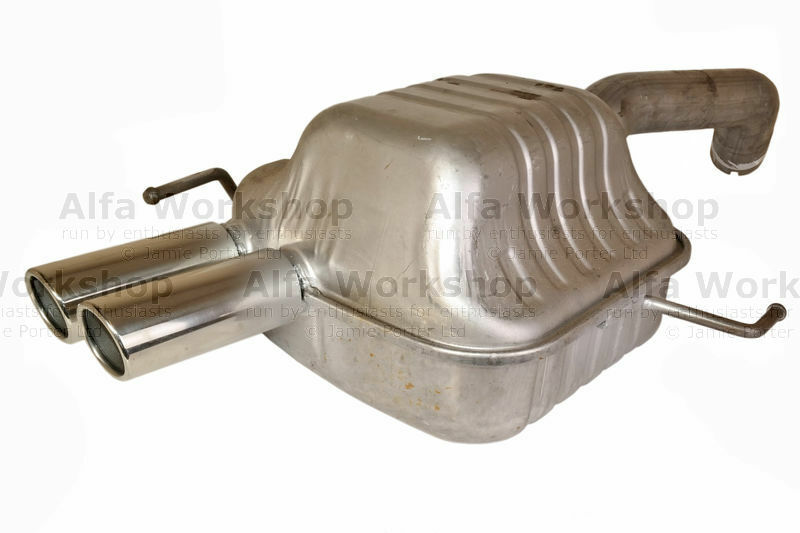 Description: Exhaust Rear exhaust box with twin tailpipe. 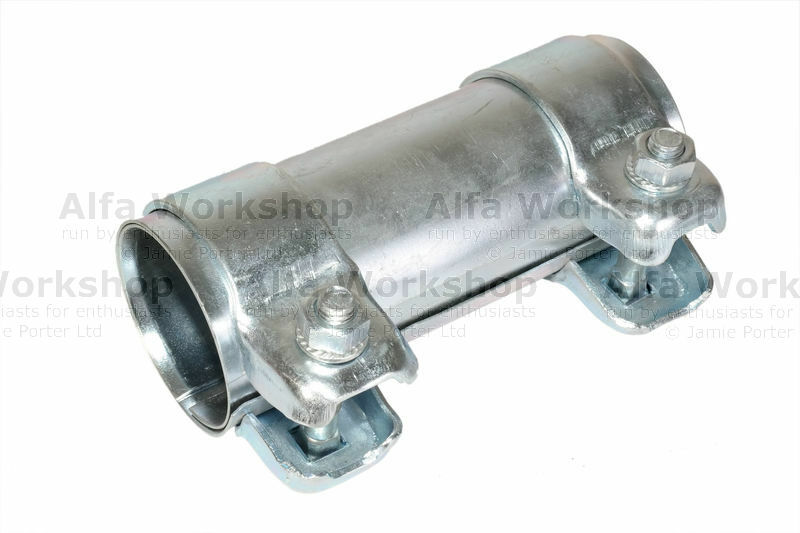 Description: Exhaust Mid exhaust pipe (takes a 55mm coupling). 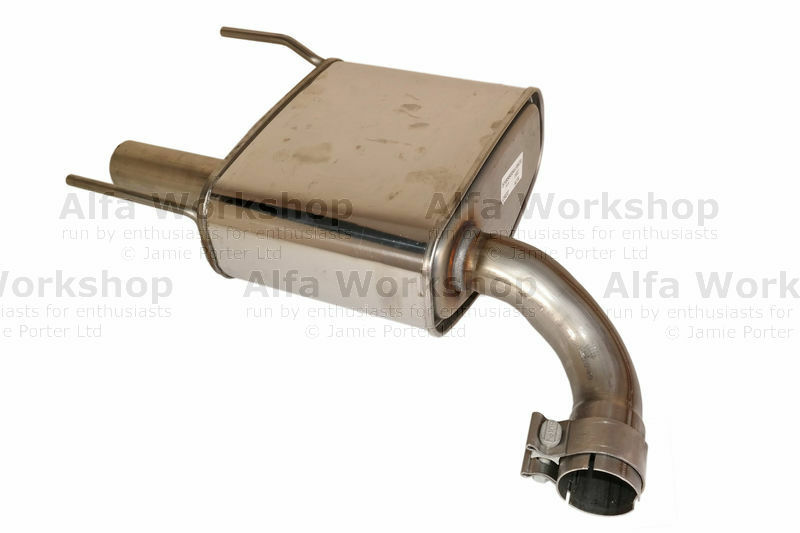 Description: Exhaust Rear exhaust box (chrome tail pipe/takes a 55mm coupling) EURO 5. 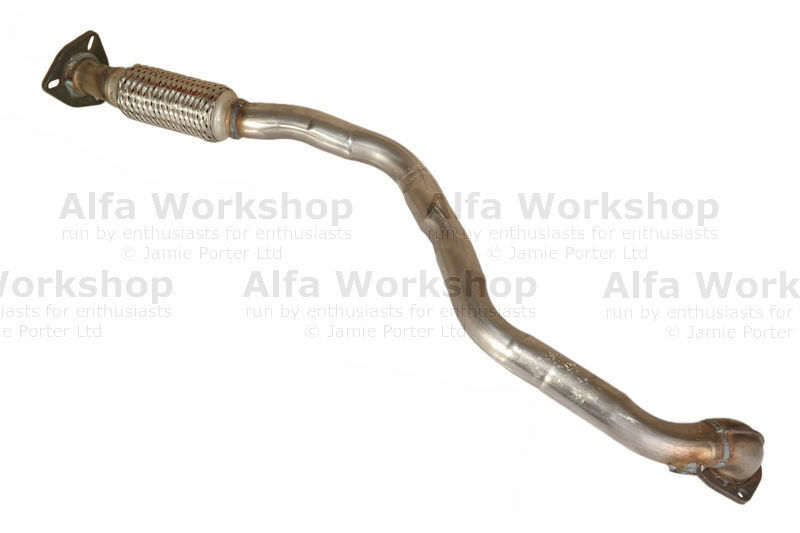 Description: Muffler Bolt on chrome tip for tail pipe (bolts not included). 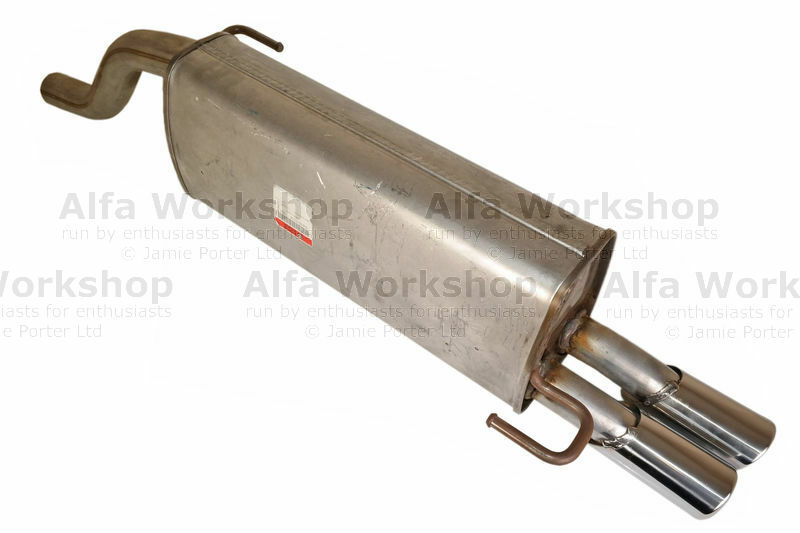 Description: Exhaust Mid exhaust pipe. 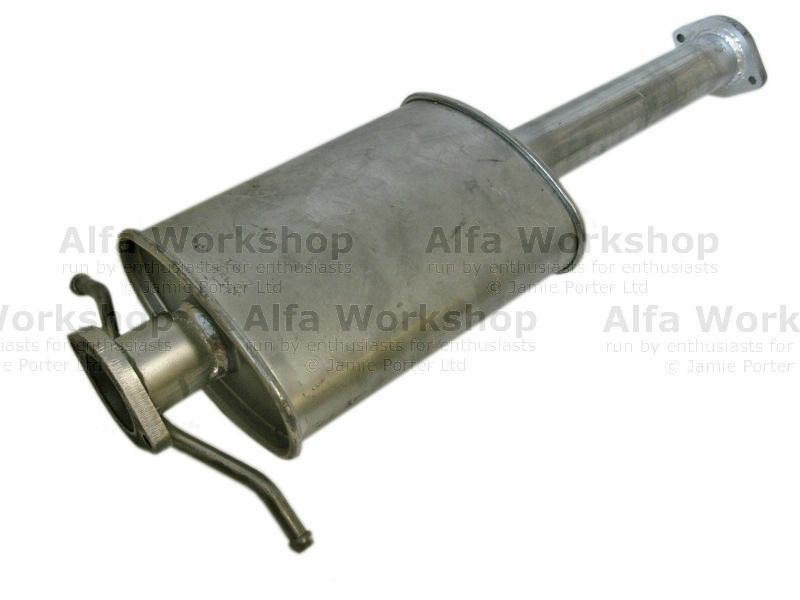 Description: Exhaust Center exhaust pipe (4x2 models). 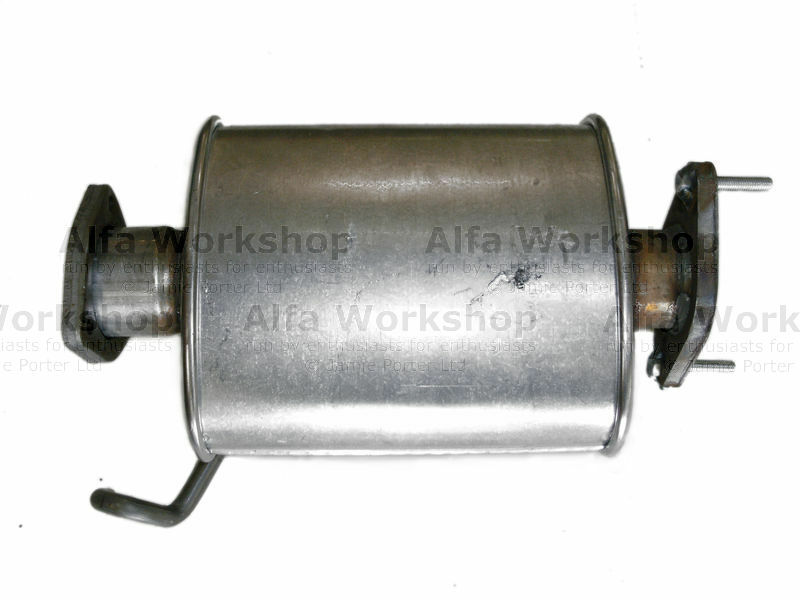 Description: Exhaust Center exhaust pipe. 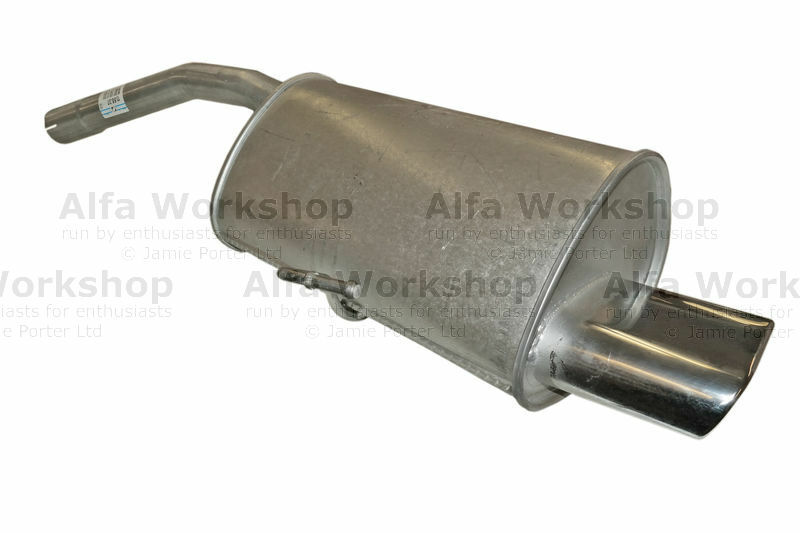 Description: Exhaust Rear exhaust box (large oval tailpipe) 2006 onwards. 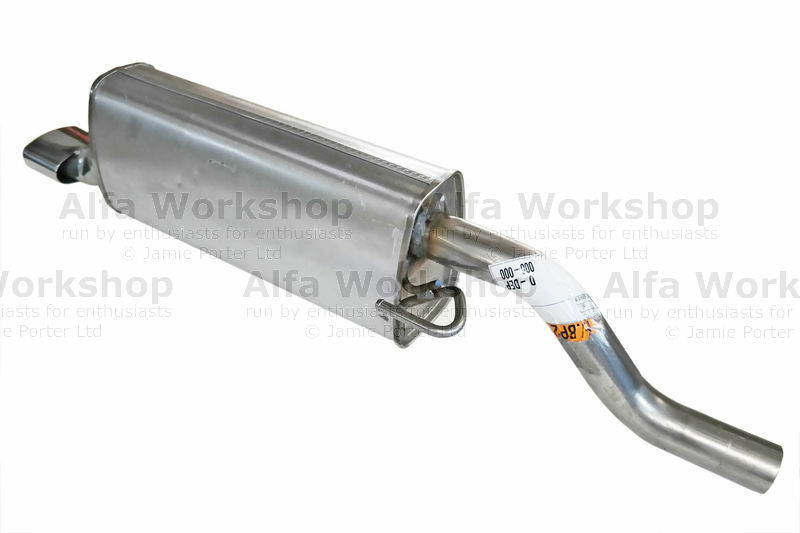 Description: Exhaust Silencer Rear exhaust box (Blackline & sport pack). 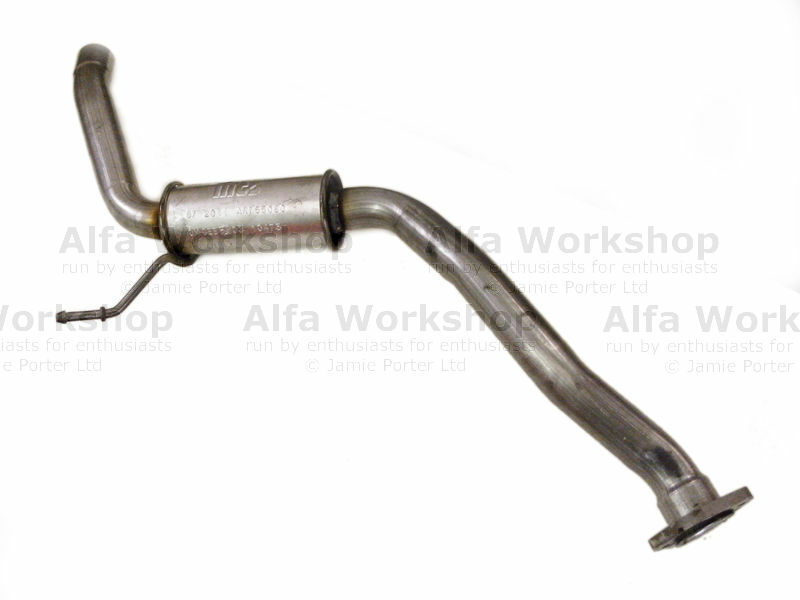 Description: Exhaust Mid exhaust pipe (needs rear sleeve clamp). 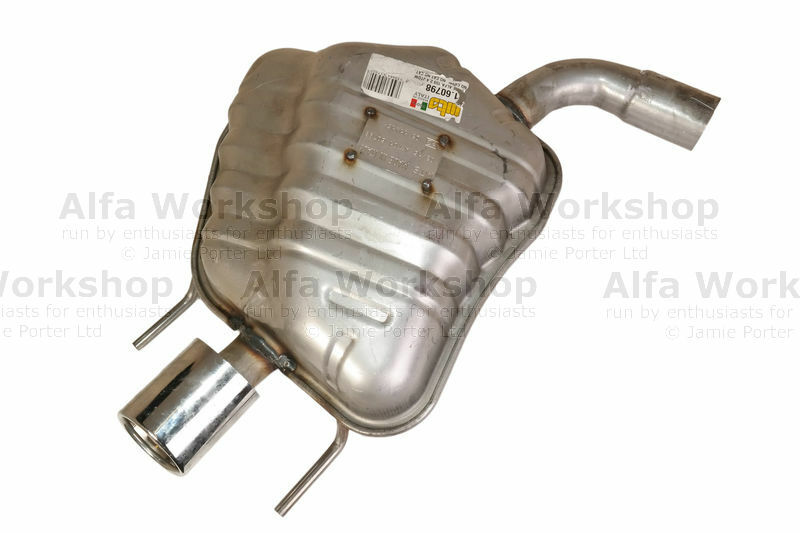 Description: Exhaust Rear exhaust box. 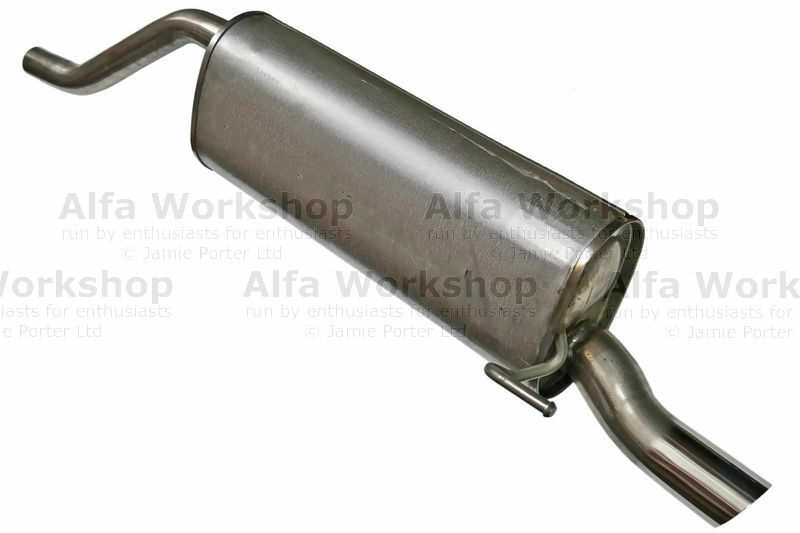 Description: Silencer Rear exhaust box (standard). Description: Silencer Rear exhaust pipe (specific). 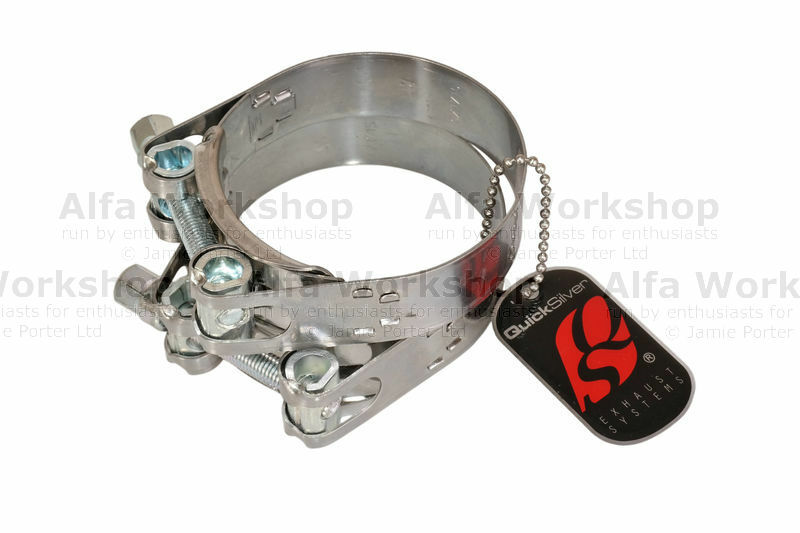 Description: Sensor Exhaust manifold temperature sensor. 2010-2016 models. 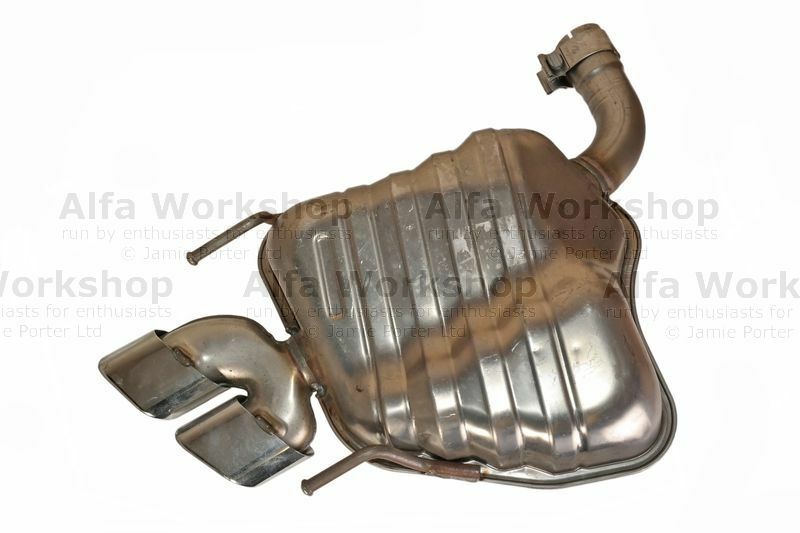 Description: Exhaust JTS rear exhaust box. 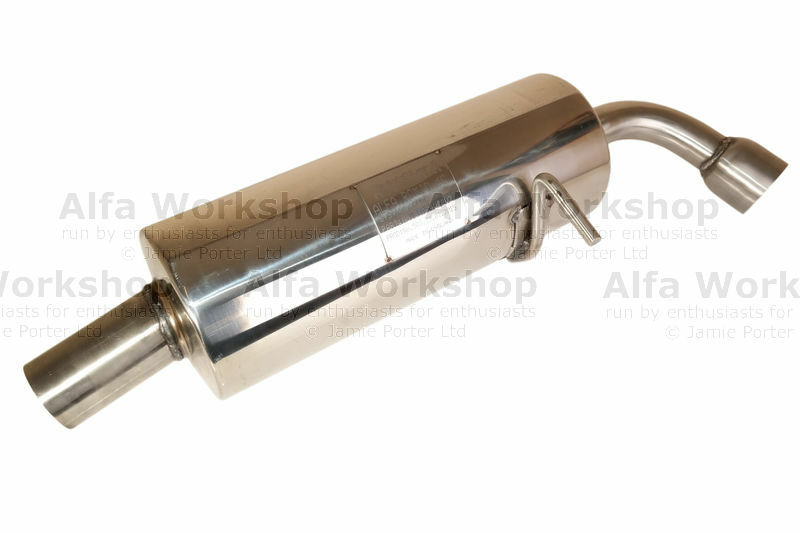 Description: Exhaust GENUINE rear exhaust silencer. 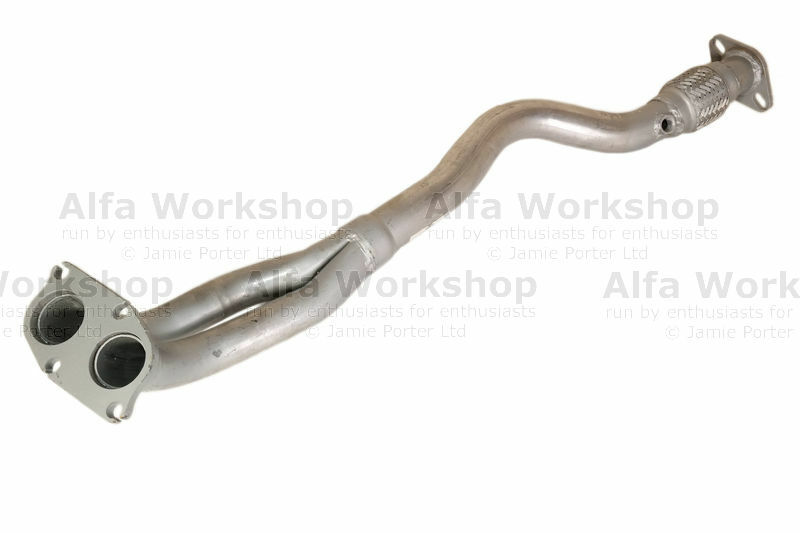 Description: Exhaust Front Replacement flexi steel hose for front exhaust, post cat (cut and weld replacement, 52.5mm I.D./56mm O.D.). 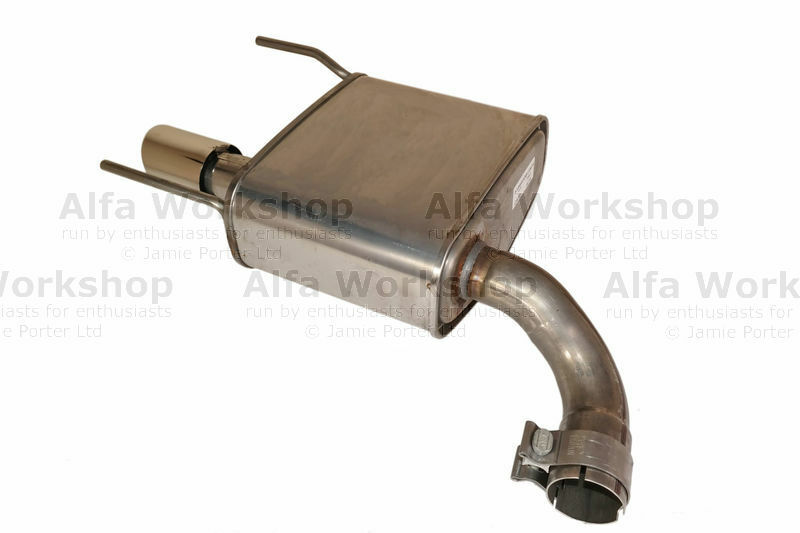 Description: Exhausts CF1/CF2 front exhaust box. 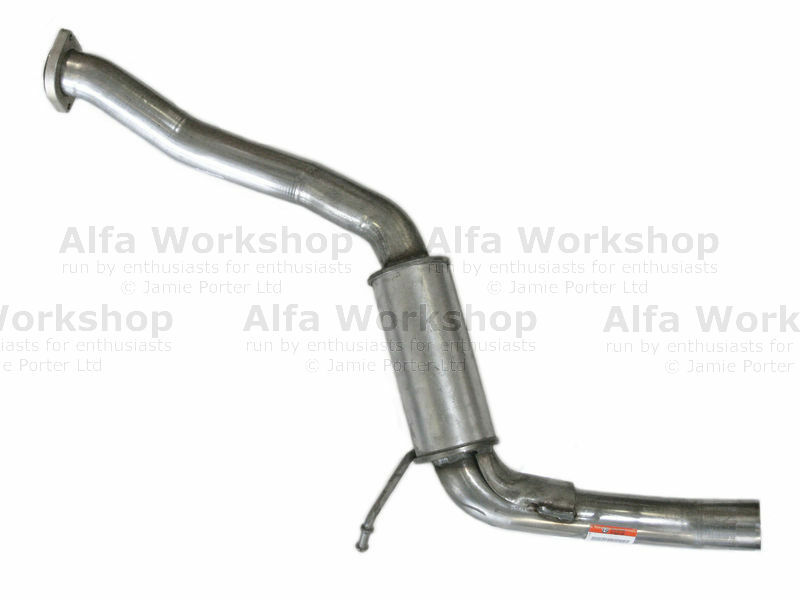 Description: Exhausts GTV front exhaust box. 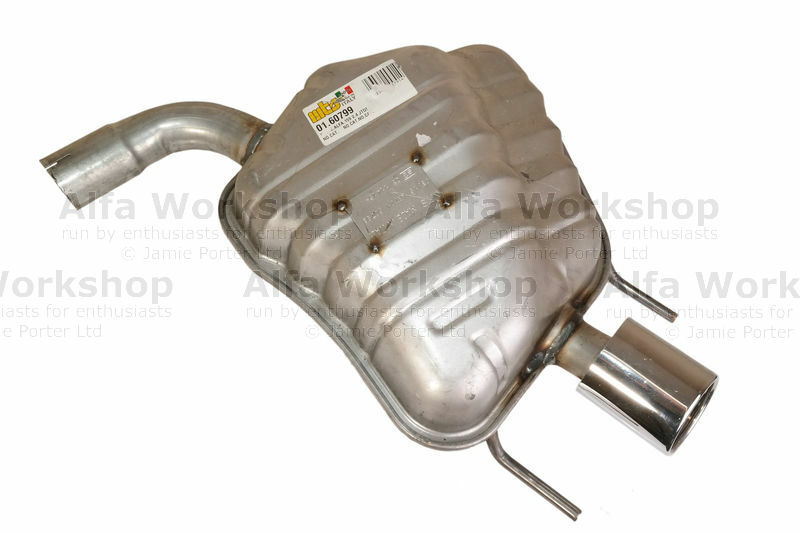 Description: Exhausts 145/146 Front exhaust box for bolt on systems. 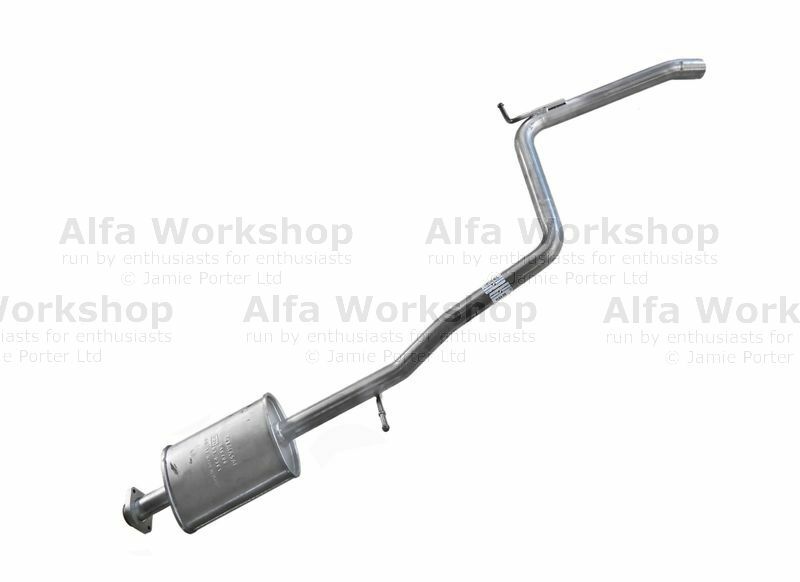 Description: Exhaust CF1/CF2 front exhaust pipes. 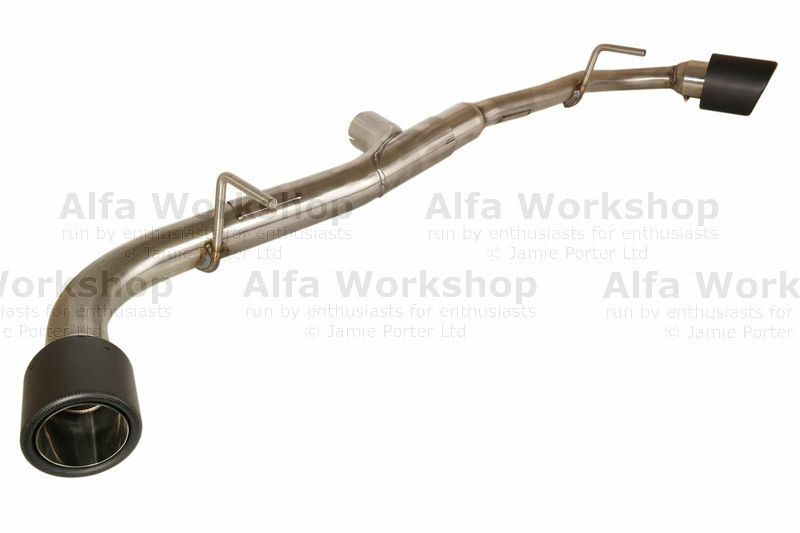 Description: Exhausts Mid exhaust section (needs x2 exhaust gasket rings, sold separately) . 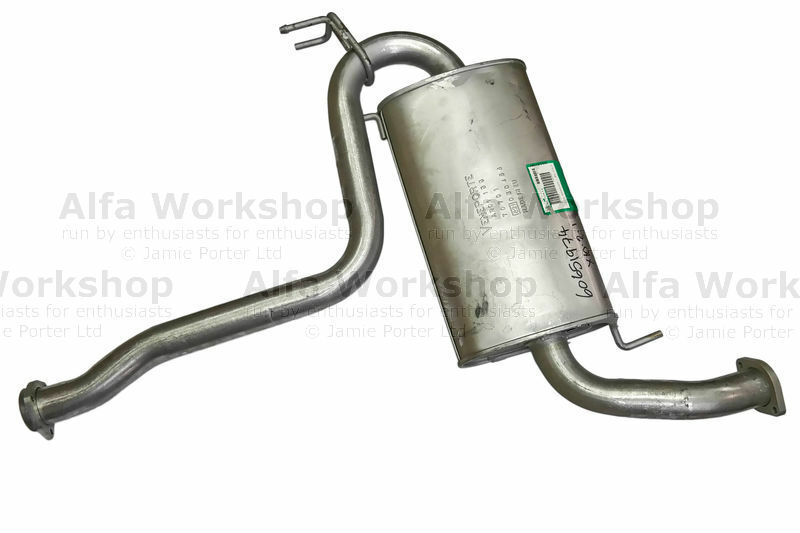 Description: Exhaust 156 rear exhaust box. (internal diameter 50mm). 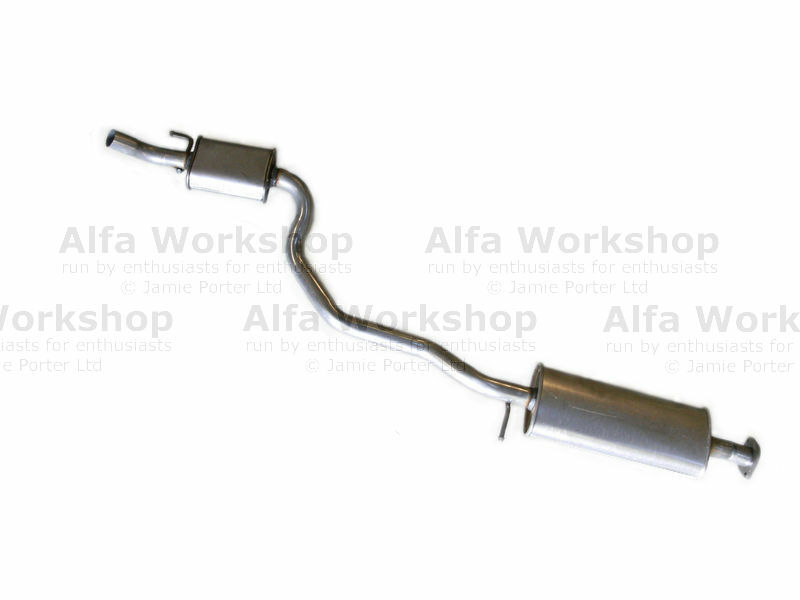 Description: Exhaust Front REAR bank exhaust pipe (short) CF2 models. 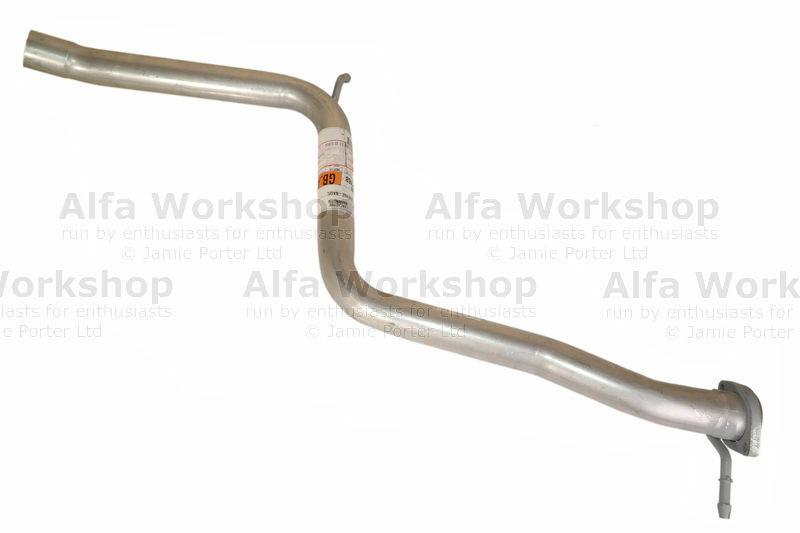 Description: Exhaust Front FRONT bank exhaust pipe (long) CF2 models. 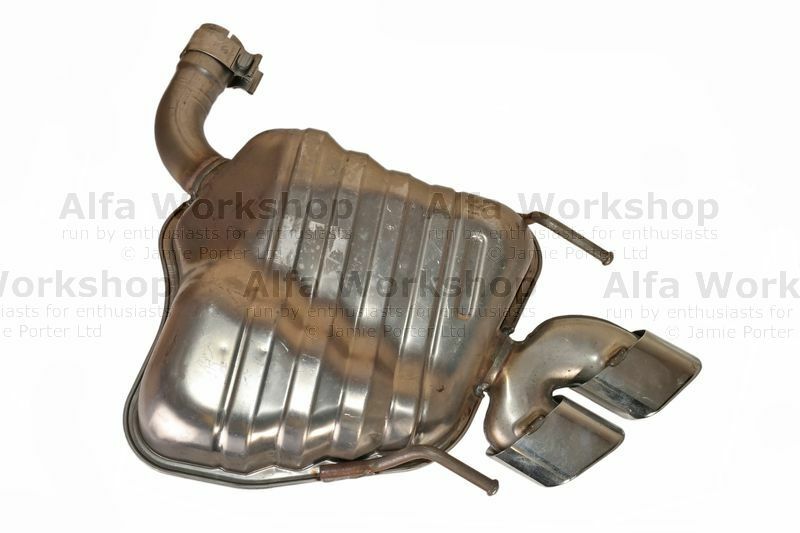 Description: Exhaust GTV Central exhaust section. 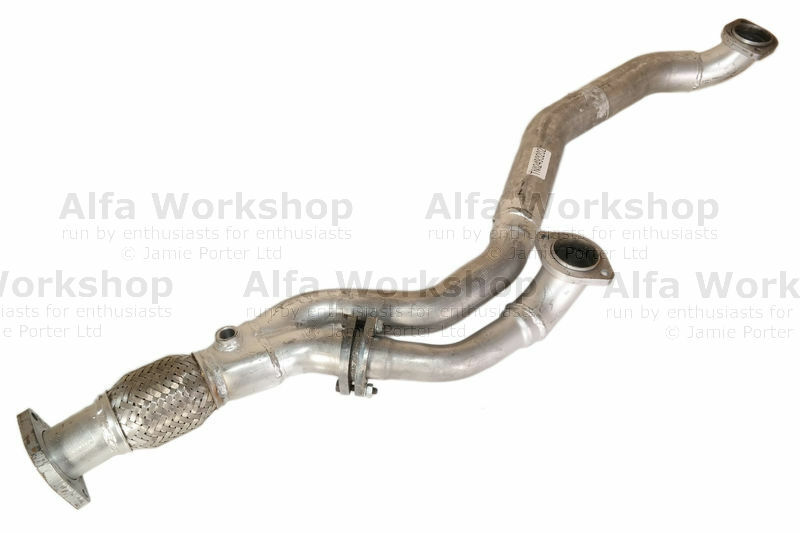 Description: Exhaust GTV Rear exhaust section (This pipe fits all models however it has a oval tail pipe not the round one of the 3.0 litre). 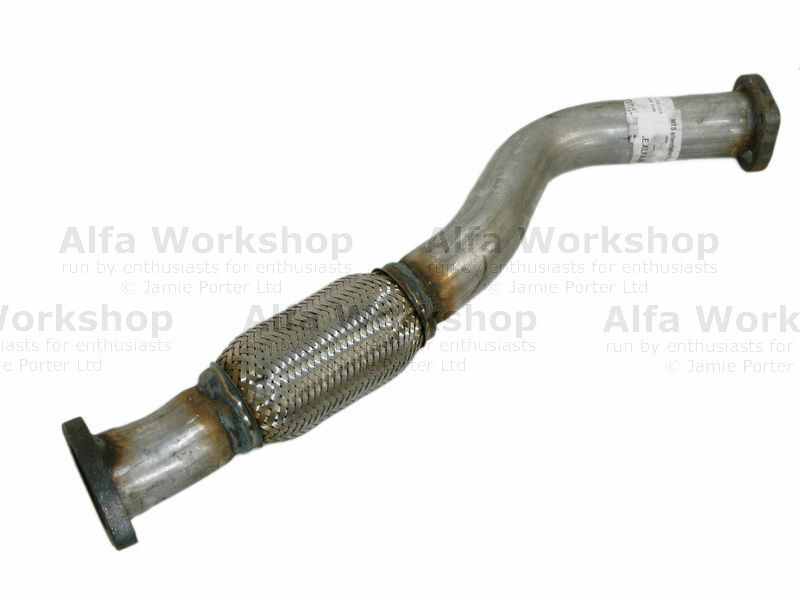 Description: Exhaust CF3 Mid exhaust pipe. 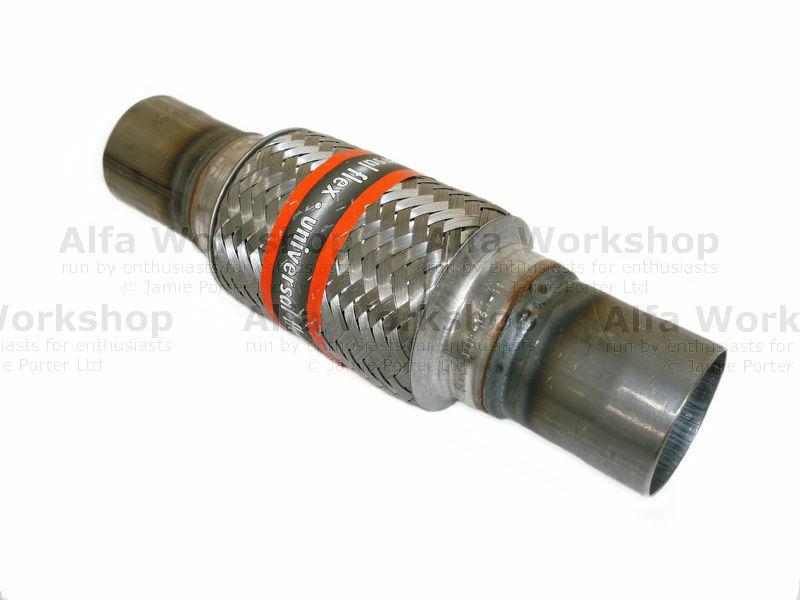 Description: exhaust Centre ehaust pipe with box. 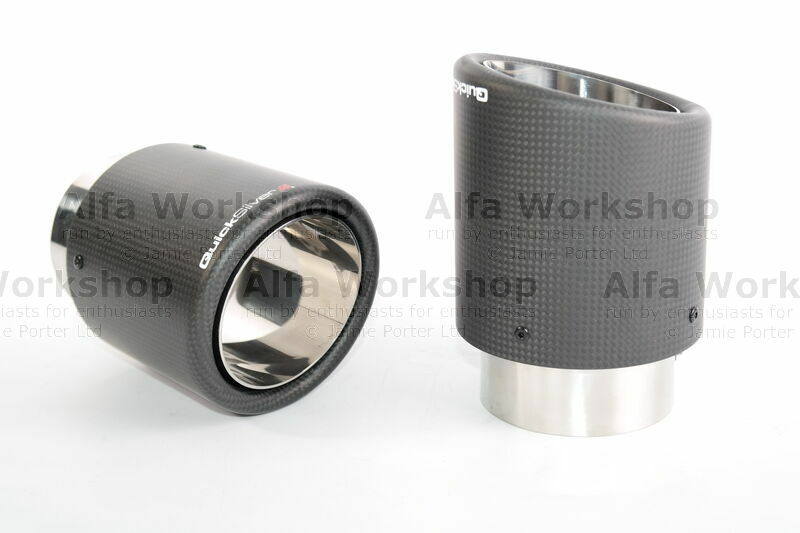 Description: Silencer Catalized Front silencer. 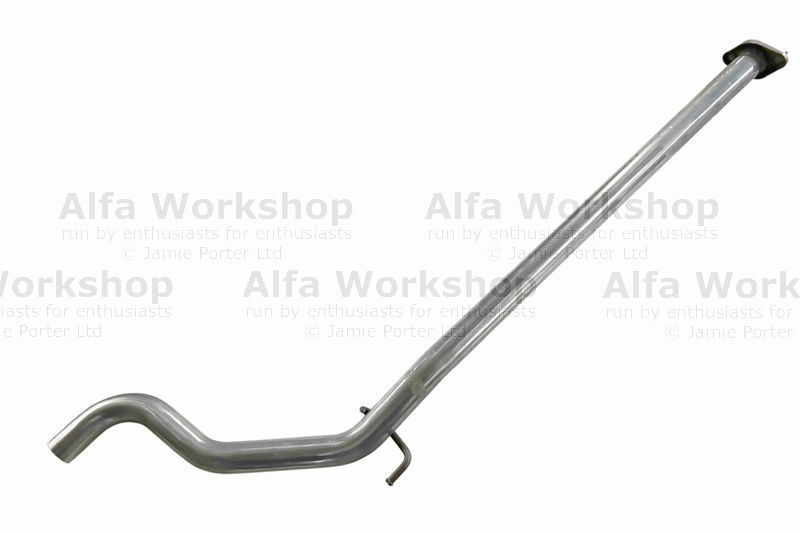 Description: Exhausts Front exhaust pipe for CF2 models only (product may vary). 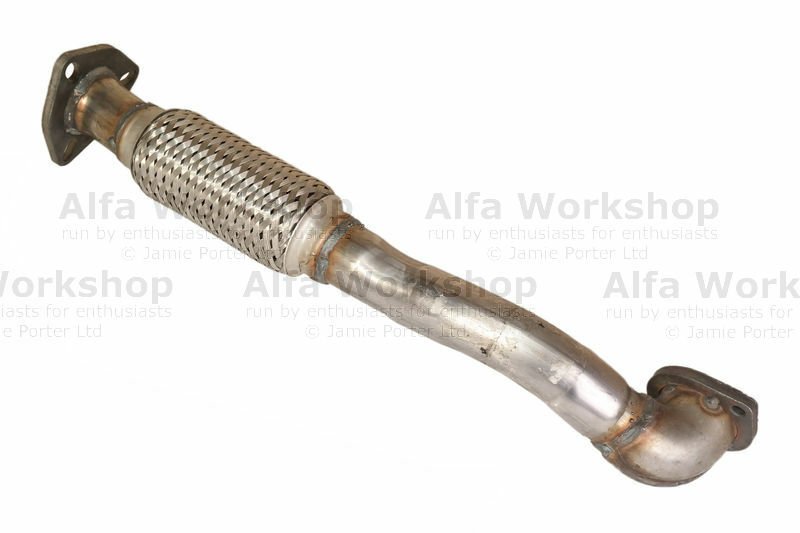 Description: Exhaust JTS Front short flexi pipe. 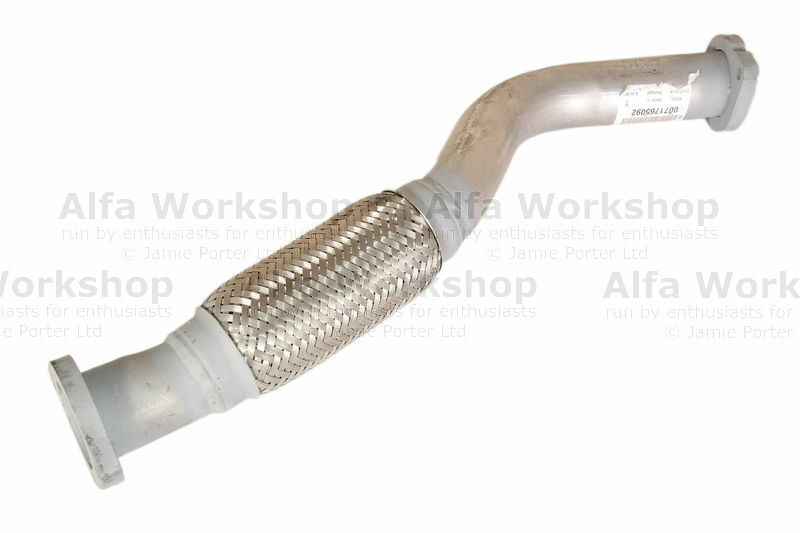 Description: Exhaust 156 central exhaust pipe for CF2 engines. 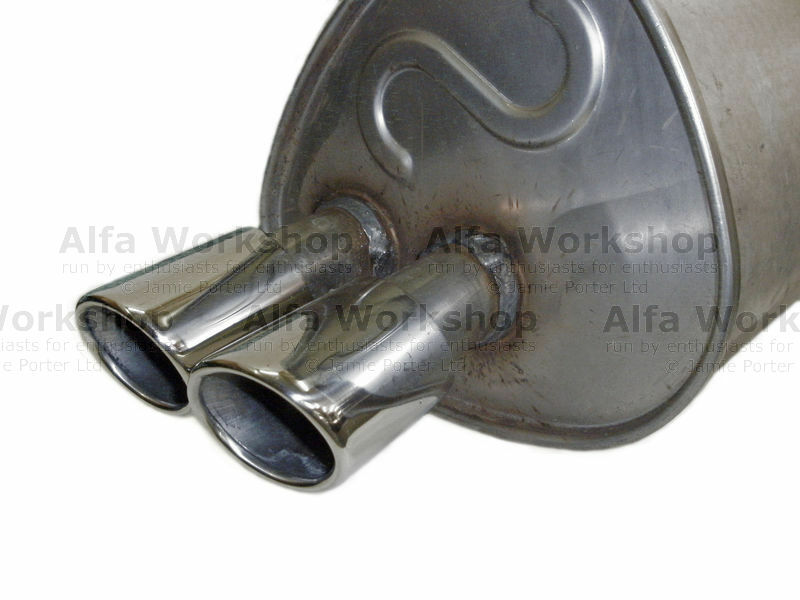 Description: Exhaust Central exhaust pipe with box. 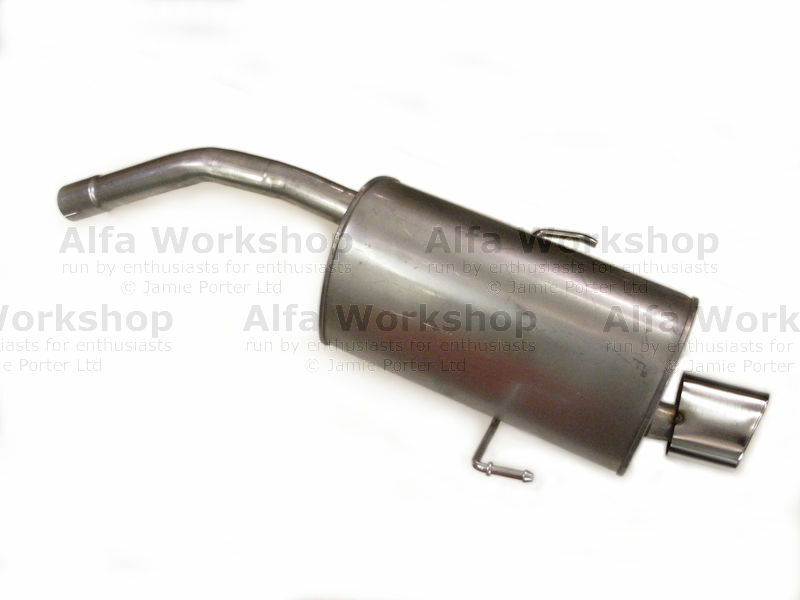 Description: Exhausts Rear exhaust box (internal diameter 55mm) with single baffle . 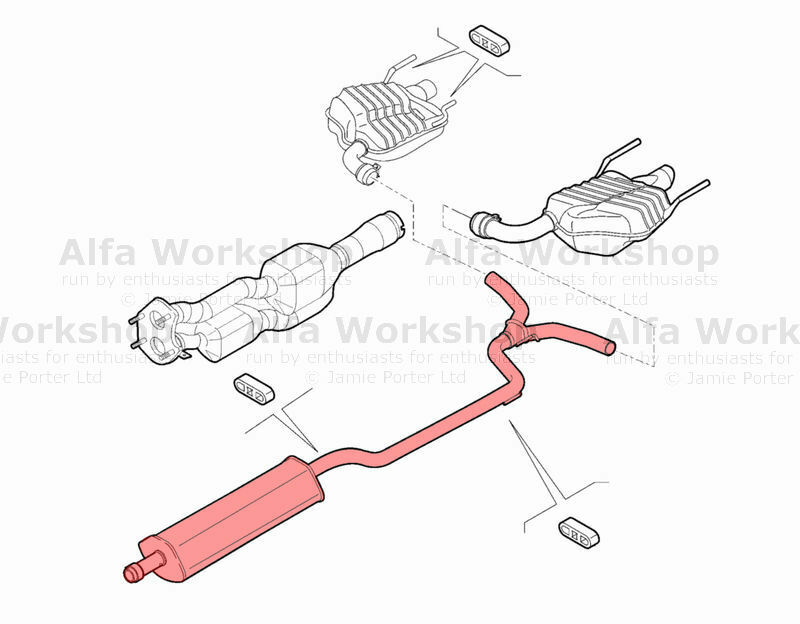 Description: Exhausts CF2 front exhaust pipes (NOT automatic). 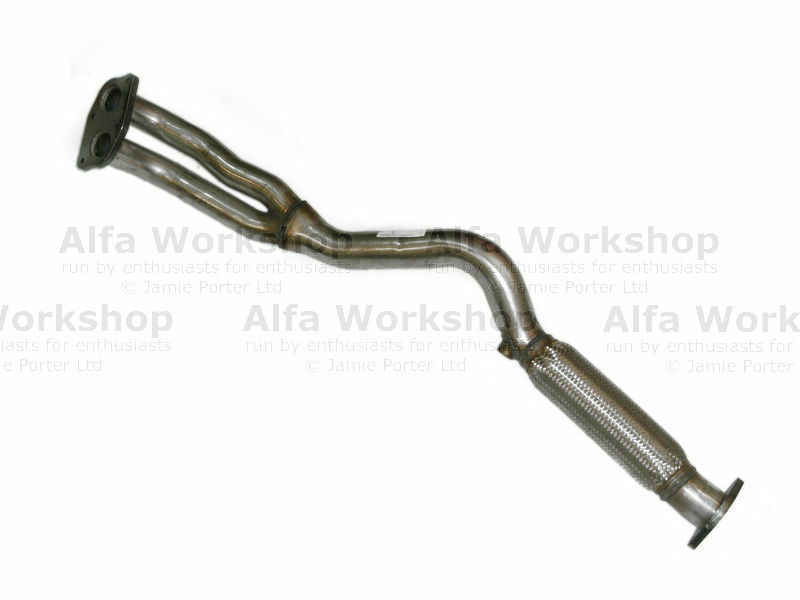 Description: Pipe Mid exhaust pipe CF3/CF4 (NOT 4x4 model) O.D. 55mm . 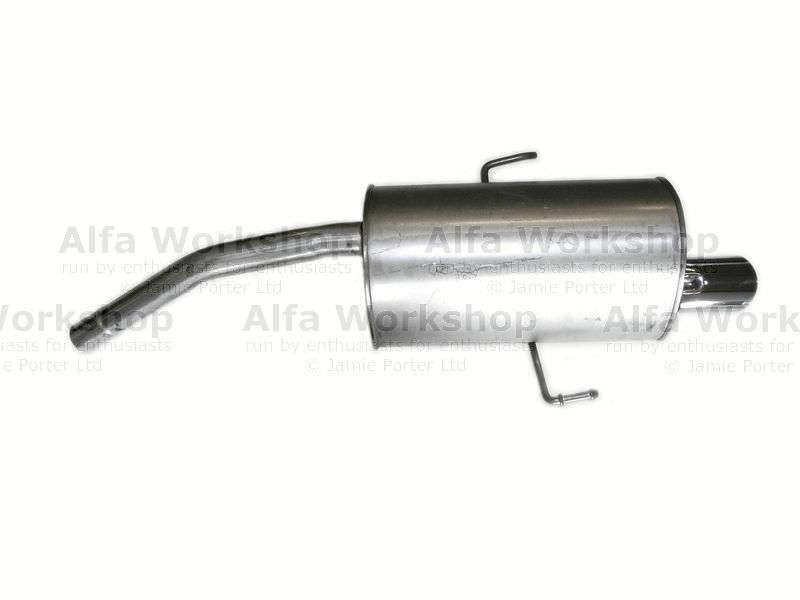 Description: Exhaust Rear GTA Rear exhaust box. 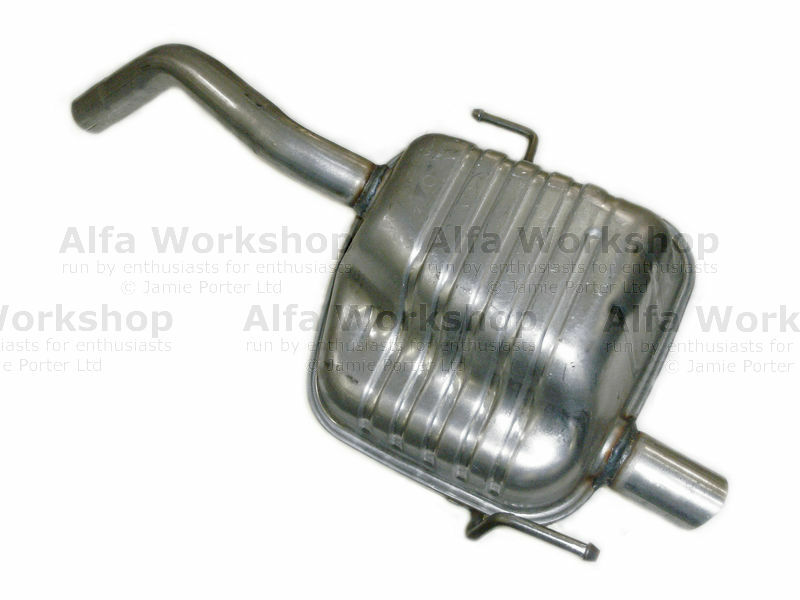 Description: Helmholtz Resonator Right hand tail pipe with resonator. 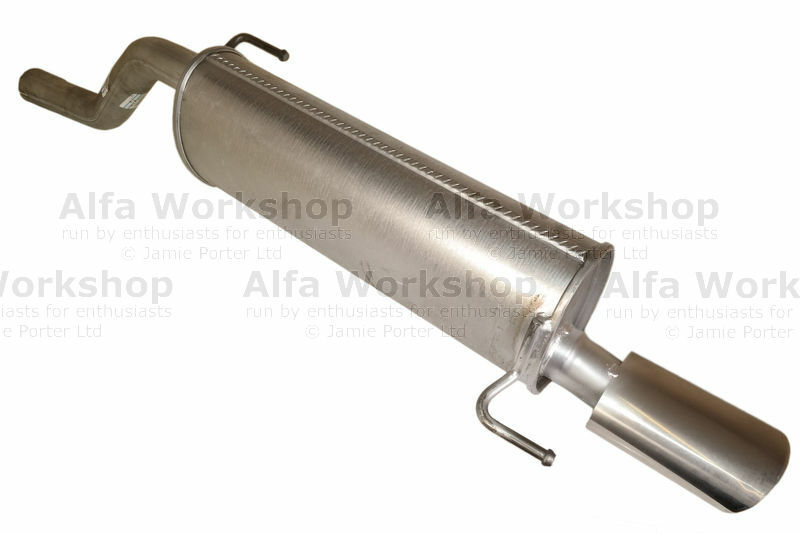 This can be fitted to our Super Sport system if you decide you need a resonator at a later date. See our Video. 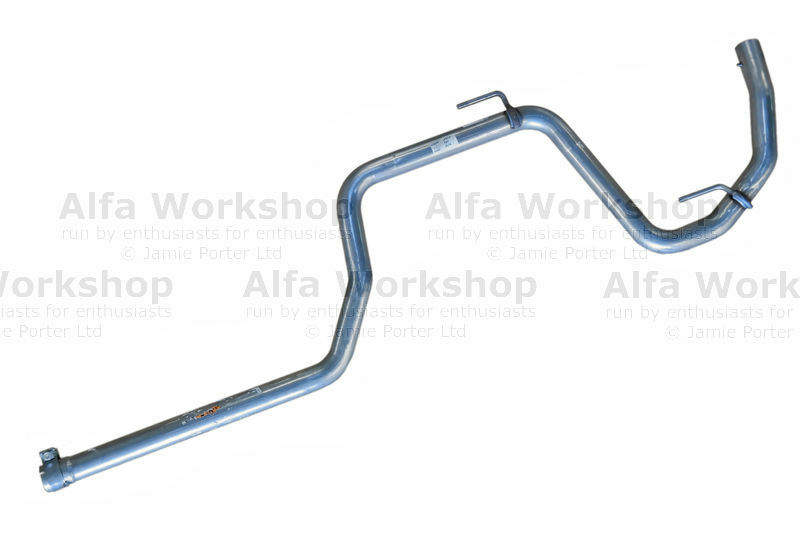 Description: Exhaust tail pipe Right hand tail pipe (WITH OUT RESONATOR). 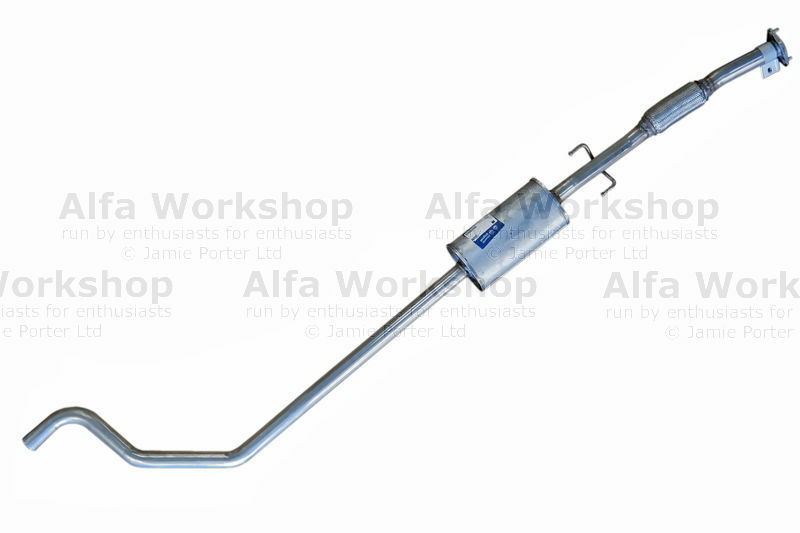 This can be fitted to our resonator system for those track days where you want to have the full 101 db. . 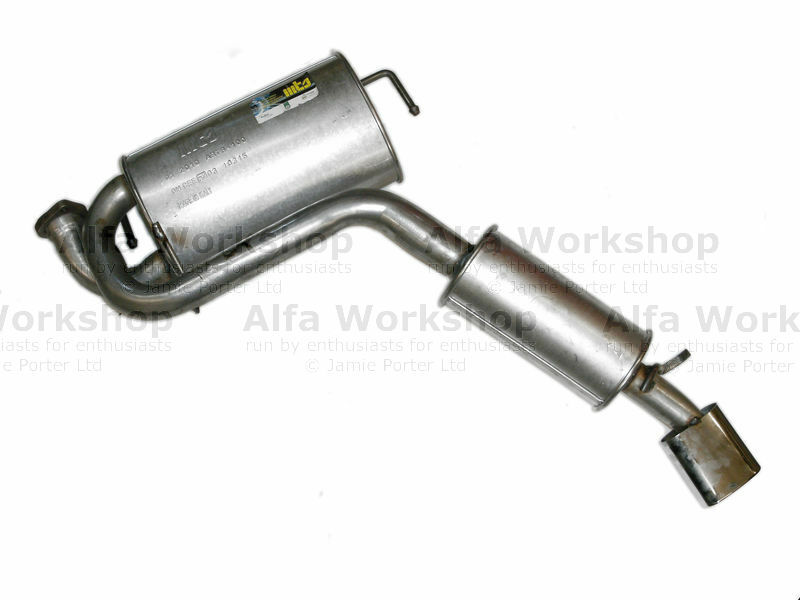 Description: Helmholtz Exhaust Exhaust system with Helmholtz resonator. This is a straight through system and it uses a resonator to remove the drone at around 80mph. 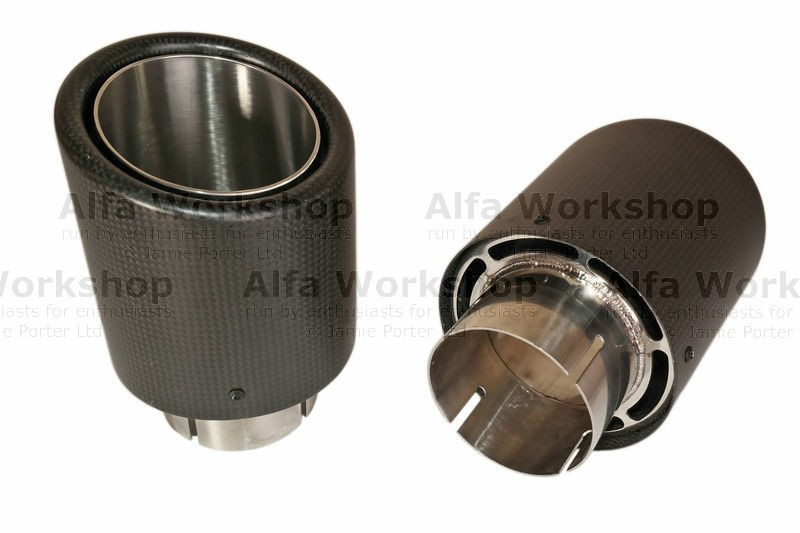 It comes with carbon tips which can be angled as you want. 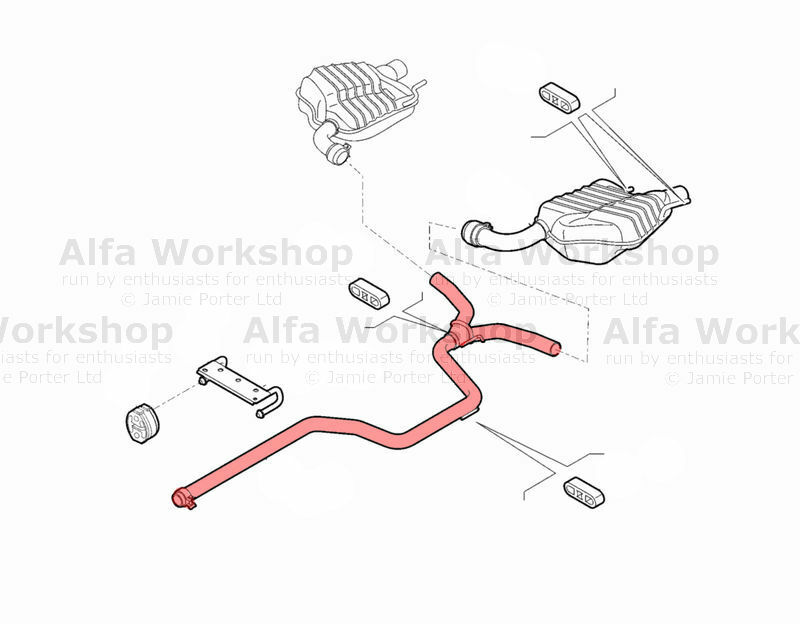 The system also utilises two different diameter pipes to produce a sound with much more depth than Alfa's race exhaust and at idle it retains a purposeful note where as the Standard system can sound flat and unfinished. 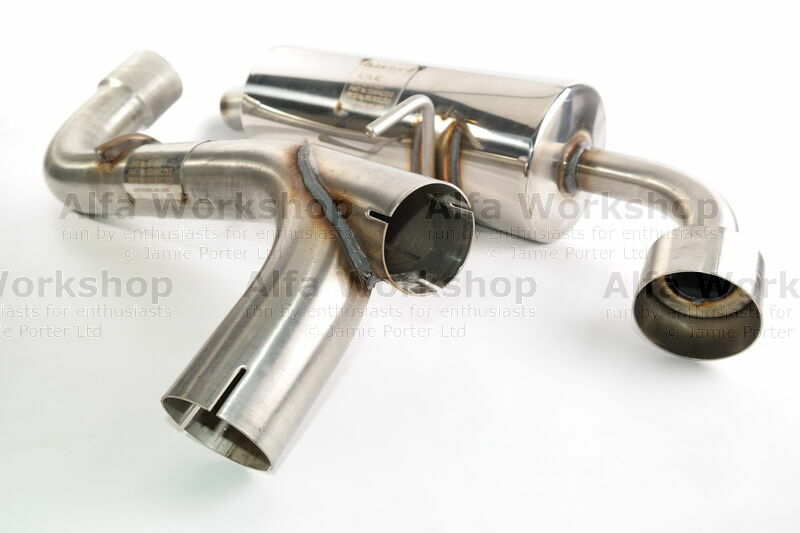 We have designed the system so you can remove the Helmholtz resonator and fit the SuperSport right hand pipe on instead for those days you want to make NOISE! Weight 6kg only 1.5 kilos heavier than Alfa's race system. See our Video. Performance Category: Fast Road. 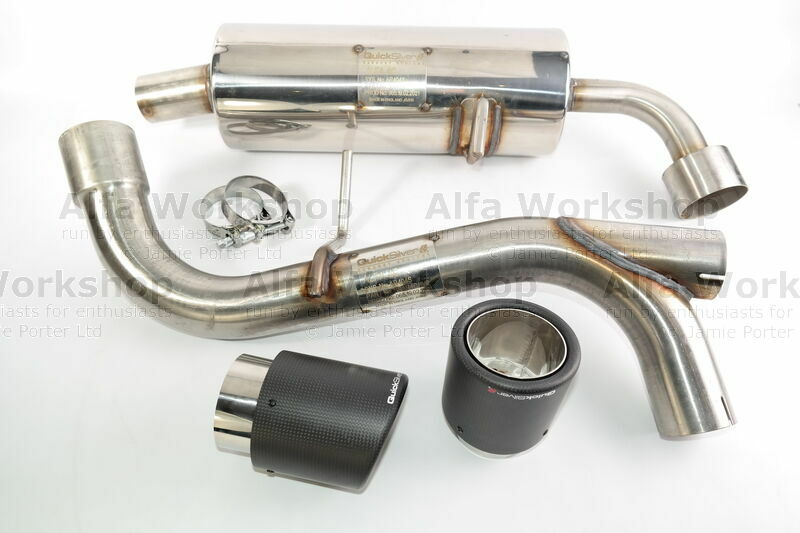 Description: Super Sport Exhaust Super sport exhaust system WITH OUT resonator. 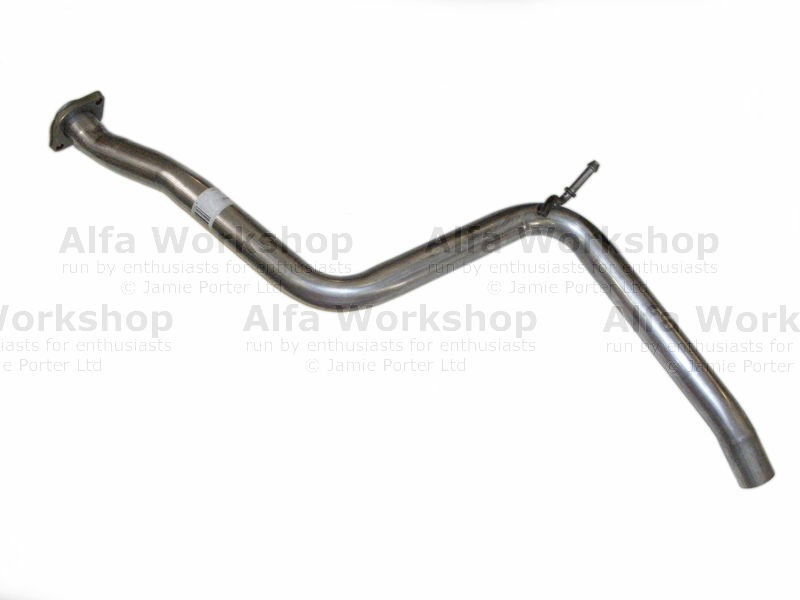 This is our entry level system, it combines the advantages of a free flow exhaust with a deeper more melodic tone, It comes with carbon tips as standard and it is considerably lighter than Alfa's race exhaust. 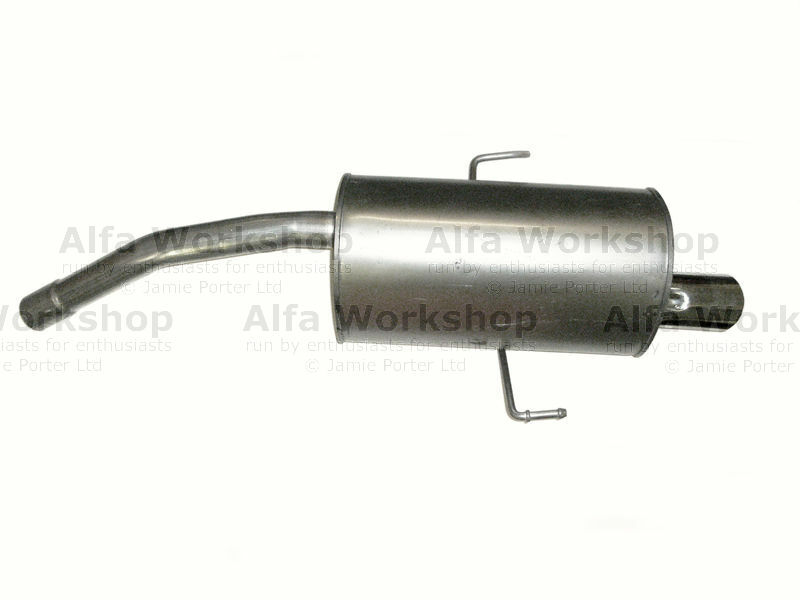 It also has the advantage that the Helmholtz resonator can be substituted for the right hand pipe if desired. Performance Category: Race, Track Day. 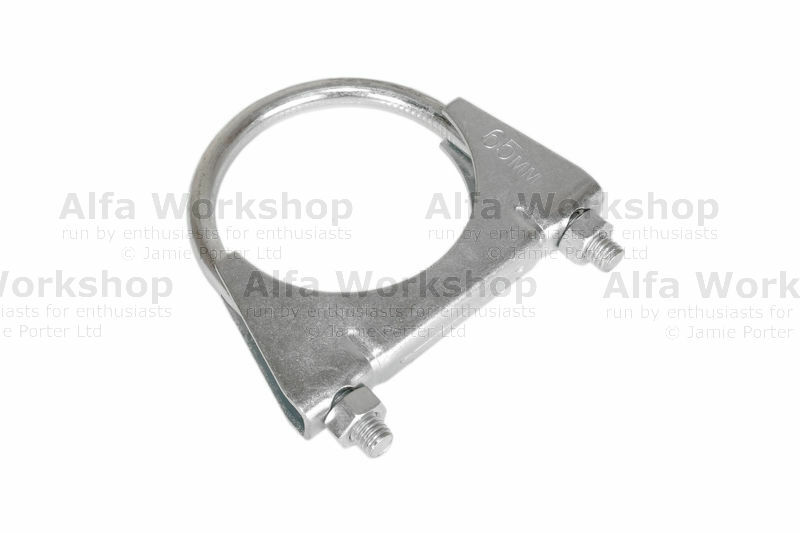 Description: Clamp 48mm exhaust clamp. 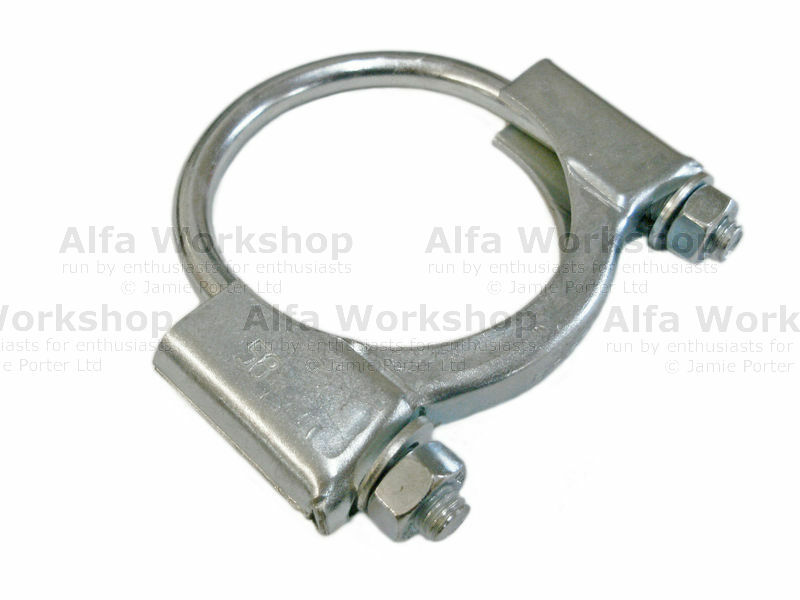 Description: Clamp 52mm exhaust clamp. 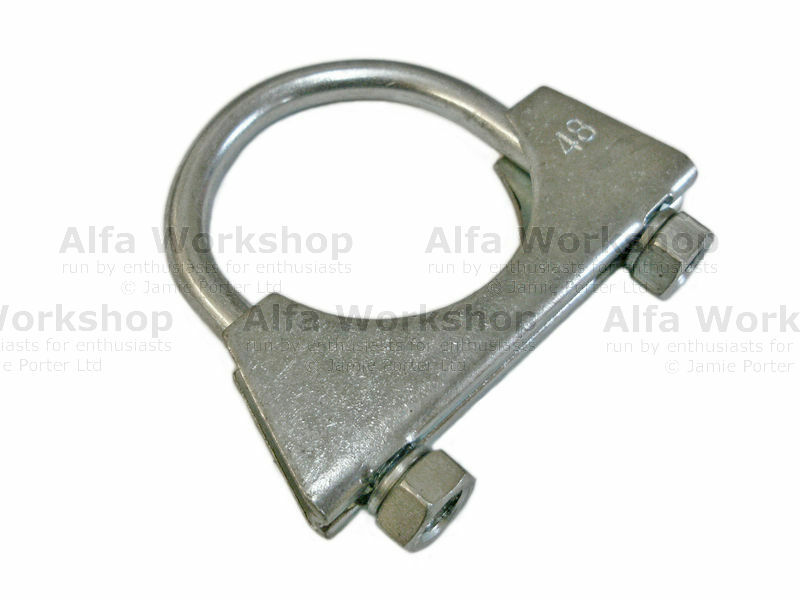 Description: Clamp 58mm exhaust clamp. 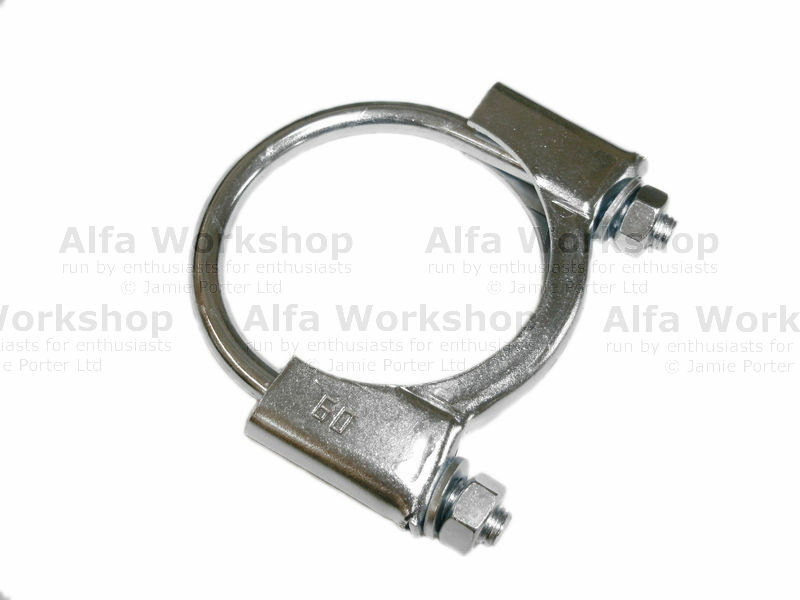 Description: Clamp 65mm exhaust clamp . 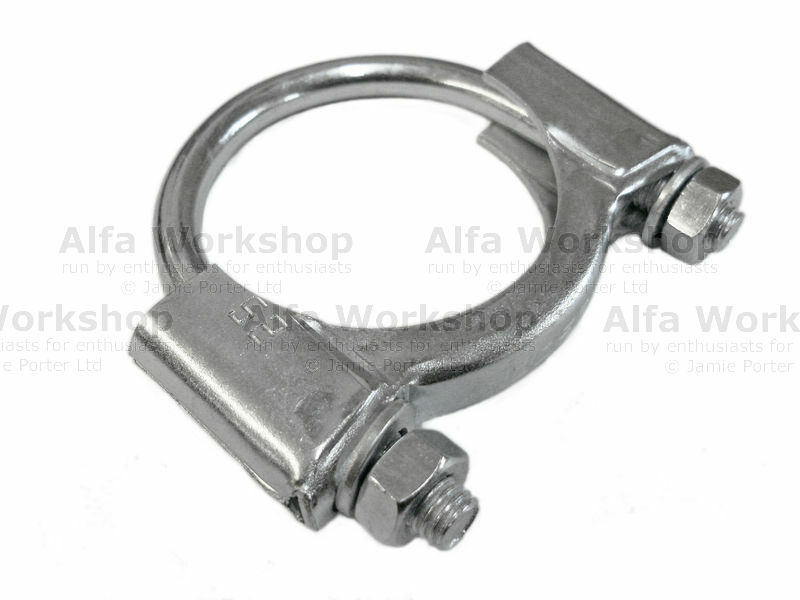 Description: clamp 45mm exhaust sleeve clamp.